Corporate Shame — Why Doesn’t Your Firm Predict and Prevent Sexual Harassment? As seen in ERE Media and TLNT, November 20, 2017. Note: This “think piece” is designed to stimulate the thinking of board members and executives about the need for a corporate program for predicting where sexual harassment is likely to occur. Sexual harassment may be the corporate risk factor with the highest negative impact on corporate employee morale, retention, and productivity. In almost every industry, there have been recent revelations about sexual harassment and misconduct. I openly wonder why corporations haven’t really done anything extraordinary to stop this productivity- and image-damaging practice. What I propose is a process for predicting where sexual harassment is most likely to occur, so that prevention actions can be focused on those areas within the corporation. But rather than targeting problem areas for prevention, corporations now exclusively use a resource-wasting broad-brush approach that relies on across-the-board policies and training. Instead, what is really needed is an approach that actually predicts and then prevents sexual harassment. Predicting sexual harassment has the added benefit of literally stopping some of the hideous damage that this harassment creates. No one can argue against the fact that the corporate world is already full of algorithms that accurately predict the weather, maintenance problems, accidents, fraud, cyber-attacks, and even crime. Apply that same algorithm- and machine-learning-based “proactive predictive and prevention approach” to this hideous and pervasive problem of sexual harassment. Board members and executives should face facts and admit that the current corporate response to harassment prevention (i.e., training and policies) is painfully insufficient. There is little evidence that policies actually prevent harassment, and there is some evidence that harassment training may actually have a reverse effect. In addition, corporations don’t take any investigative actions until after a complaint has been received, so investigations don’t prevent the damage. And given the high percentage of harassment complaints that seem to go essentially ignored (as in the Uber case), it’s hard to argue that the threat of investigation and punishment is sufficient. Rather than waiting for an incident or complaint, proactive action is needed. The same type of proactive and targeted action takes place in the risk area of employee theft. Here, data is used to predict where most theft is likely to occur, and then prevention resources are focused on those high-probability areas. You may think that it’s not possible to predict where and when the sexual harassment will likely occur, but that’s simply not true. Only the naïve believe that sexual harassment is a random event, because the evidence reveals that it is clearly most likely to occur when one individual employee can wield power over another. Data can reveal who is likely to be harassed, who is likely to do the harassing, and when and where the harassment is most likely to occur. Identifying areas where sexual harassment is likely to occur simply requires following the “who, what, when, where, and why” data-driven model that is already used to predict other corporate risks. Incidentally, this model is also successfully used in predictive crime prevention. Sexual harassment is not random. New research by COMPARABLY reveals that new, young, minority, female workers with less than a college degree are harassed at a higher rate. Historical data at an individual firm can reveal who is most likely to be subject to sexual harassment. A prediction program would use predictive criteria to identify the type of job and the characteristics of an employee that make them more likely to be harassed. EEOC data clearly reveals that women are much more likely to complain about harassment than men. And, don’t be surprised that after some research, you learn that women who need a raise or job security and individuals who are perceived to be vulnerable are more likely to be subject to harassment. Data can reveal who is more likely to harass others. These harassing individuals can be identified by their position title, their personal characteristics and history. After some data collection, don’t be surprised if you find that salespeople, those who send messages with sexual content, those with previous incidents, and those who share extremely personal pictures are more likely to harass others. Sexual harassment often also comes from customers. Situational and environmental factors can increase the likelihood of a sexual harassment event. Be especially aware when there are company-sponsored parties with alcohol, when employees are working late, and when there are high-stress deadlines and off-site trips. Understand the times when the risk increases, because sexual harassment may be more likely to occur during holiday periods and on an employee’s birthday. Even the industry and the geographic location may play a part in the likelihood of sexual harassment. (Example: 80% of women in Sweden and Denmark report being harassed). Data can also reveal the precursor actions (a risqué joke or assigning a nickname to an employee) that often lead to sexual harassment. Continually collect sampling data in workgroups that have low civility scores, low referral rates, high transfer-out rates, and an above-average volume of complaints to HR. Prediction needs to start with the assumption that “someone knows” and therefore it becomes the responsibility of the corporation to proactively find that person (often “a superknower”) and to get them to speak up without fear. Once you know the high-probability areas, specific actions are required in order to prevent any escalations in sexual harassment. You can make managers and employees instantly aware of the high-probability problem areas with a simple, data supported heat map. 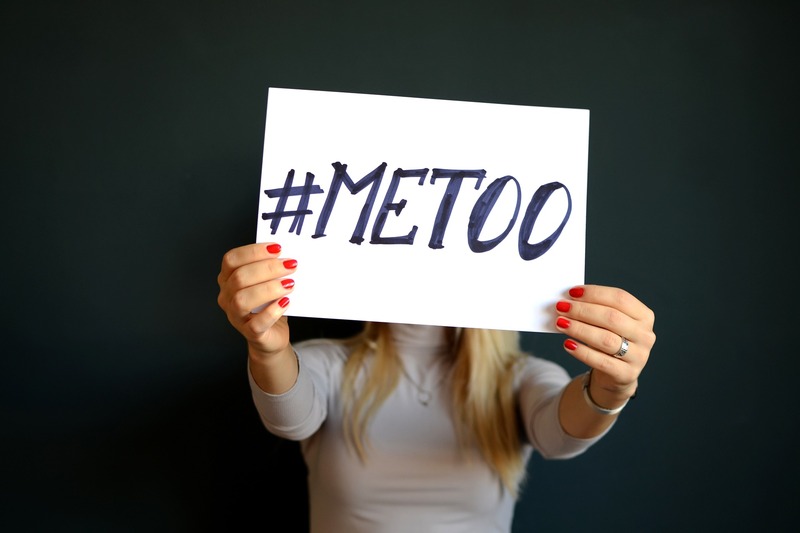 Using a combination of data points, large corporations can identify the facilities, business units, jobs, and even the teams where sexual harassment is most likely to occur. Once those high-probability areas are identified, corporate leaders and HR can use a combination of civility surveys, targeted interviews, keyword searches, video cameras, and targeted walk-by visits to identify and address specific problems. As an added benefit, this public emphasis on sexual harassment will likely make everyone in the high-probability areas fully aware that any new sexual harassment will be caught in the very early stages. As an expert in predictive analytics, I can assure you that predicting most high-risk events in a large corporation is possible. Rather than starting from scratch, firms can learn from academic studies that show that predicting sexual harassment is possible. Or they can use models from predictive police work. Of course, it’s not easy, but simply because it is difficult shouldn’t be a reason not to try, if for no other reason than everyone should by now realize that the damage and the risk from sexual harassment are too high for corporate leaders to ignore. In cases like Uber, the damage from a single incident was in the hundreds of millions of dollars. Unfortunately, I often find that corporations prefer not to know about internal problems, so without even trying, they assert that predicting isn’t possible. A male salesperson was recently promoted to manager. This new manager has recently been divorced. He has two previous sexual harassment complaints against him, giving him a high probability of risk score. The newly hired receptionist is young, attractive, and a recent immigrant who really needs this job. The new sales manager has already been seen sitting on the edge of her desk several times a day. Mitigation actions could include HR holding a one-on-one interview with the sales manager reminding him of company expectations. And a separate one-on-one interview could be held with the receptionist to encourage her to report any odd behavior. The newly hired receptionist could also be assigned a peer buddy with whom she can talk about any problems. The manager of the department could also be warned that “mystery shopper” observers (from HR) will periodically be visiting their work area. I view this article as a call to action. It is time to shift to a data-driven predictive model in the area of sexual harassment; it is long overdue. It’s no longer enough to require sexual harassment training or to have strict policies because there is simply little data to prove those two limited actions have worked. Thorough investigations and punishments simply occur too late to prevent the damage. Finally, HR has not had its finest hour in investigating recent sexual harassment cases. In my view, this proactive predicting and prevention effort should be run by the risk management function, where data scientists and analytics can best be objectively applied; but no matter who runs the process, the time to act on prevention is now. Enough is enough, and it’s time to admit that identifying jerks among the workforce isn’t really that hard! If this article stimulated your thinking, please take a minute to follow or connect with me on LinkedIn.